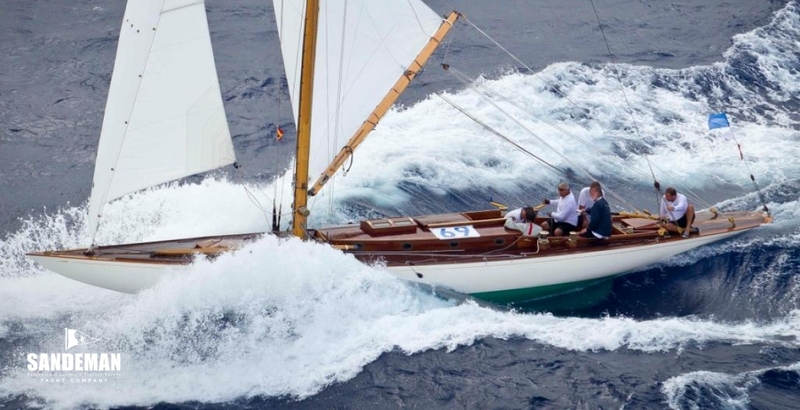 This thoroughbred sailing yacht continues to turn heads and offer only transom views. 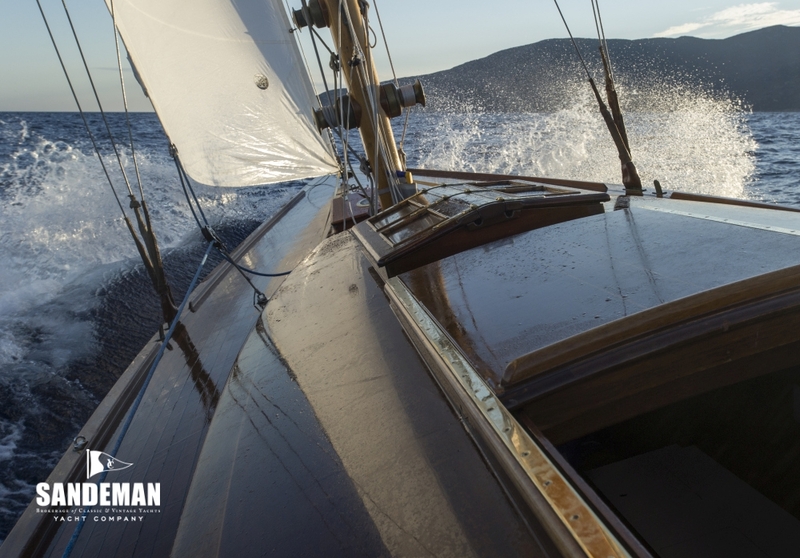 At around 50 feet on deck, Q-Class yachts offer fun racing for a bunch of friends in boats that look gorgeous - at the dock or on the water - with performance that lives up to looks. 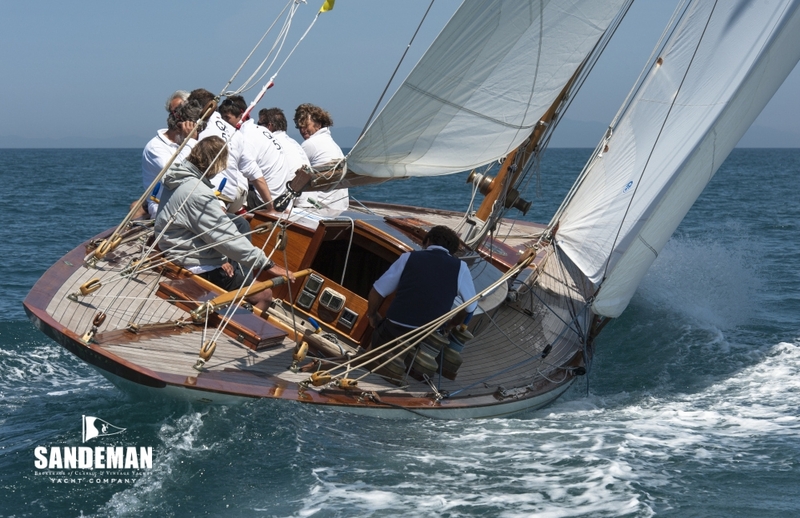 As COTTON BLOSSON II she hit the ground running in her debut 2006 season on the Mediterranean classic regatta circuit with restoring owner America’s Cup legend Dennis Conner at the helm. 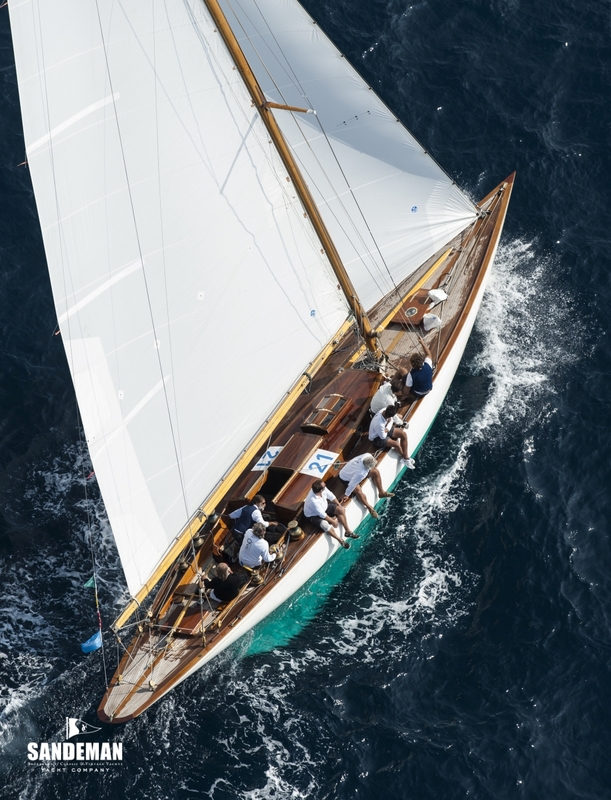 And back to her original name, LEONORE, her astounding winning ways continue under present ownership, with two Panerai Classic Yacht Challenge overall wins and countless class victories to her credit including at Les Voiles de Saint Tropez in consecutive years 2011 to 2016. 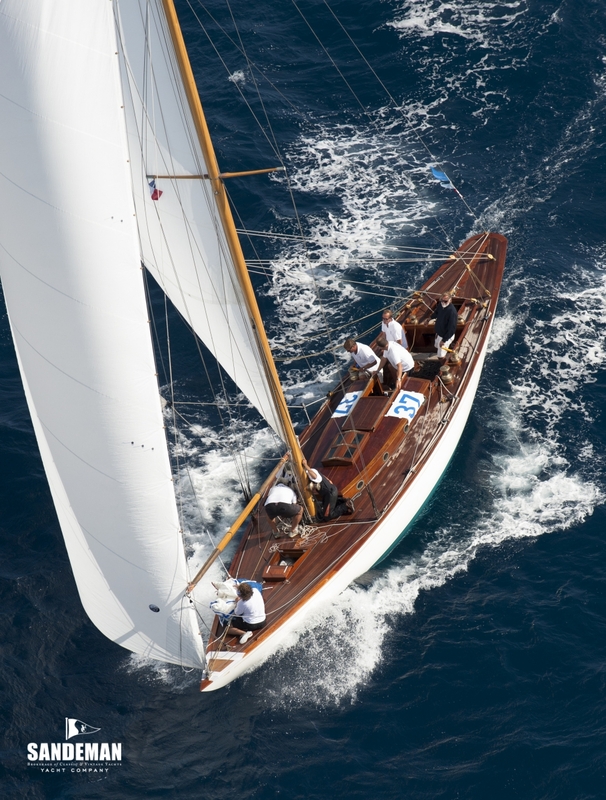 When shipped to North America in 1925 by her Norwegian builders Anker & Jensen, LEONORE’s design and build provenance added Scandinavian finesse to the American Universal Rule of Measurement – the same rule the larger J-Class yachts were and kind of still are built to. Along with build sister SALLY XIII, LEONORE and her commissioning owner, Robert Amory of Boston, joined a Marblehead Q-Class fleet that would peak at 14 boats by 1929; 14 thoroughbred 50-footers coming to the start line would have been quite something. They weren't the only Universal Rule boats designed in Europe for sailing in US waters; around the same time, for example, Scotland's William Fife and England's Charles Nicholson joined Anker in having R-Class designs racing successfully on the West and East Coasts, some built by American yards. 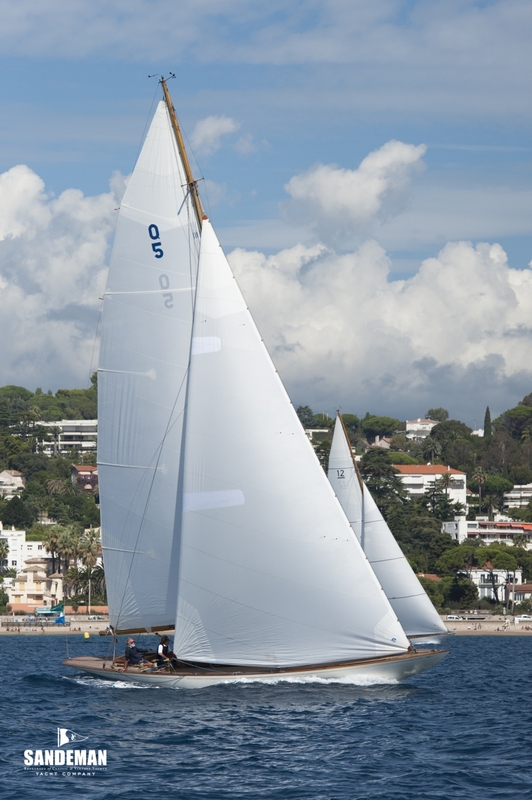 LEONORE was born into a fascinating period of truly international yacht design intrigue set around very sporty boats. In 1931 she moved to the other side of Cape Cod and the perfect, breezy sailing waters of Buzzards Bay where, as PALOMA, she became Champion boat and won the Block Island Race during James Jackson's short period of ownership. She then became the second of Walter Wheeler's famous COTTON BLOSSOMS, winning the Astor Cup in 1938 (a later COTTON BLOSSOM would be the 75ft William Fife designed 1926 Fastnet Race winner HALLOWE'EN). Once a thoroughbred, always a thoroughbred: by 1940 she had moved inland to Chicago as SCIMITAR with continued handicap racing success in the hands of William Faurot and Charles Deere Wiman, in particular coming 3rd in the 1941 Mackinac Race, and 2nd in 1942 and 1943. By 1949 she found herself on the US west coast in the ownership (as a gift) of Deere Wiman's daughter Mary Jane Wiman Brinton and regained the name COTTON BLOSSOM II, which she would retain through a succession of west coast owners for over 60 years. These included: Ted Halton, winning line-honours in the 1959 Swiftsure; Ed Turner, who retrieved the prestigious San Diego Sir Thomas Lipton Challenge Cup for the owning club in 1965; the Cole family, with Doug Cole meticulously recording and sharing her history online, for which we are indebted, and, from 2003, America's Cup legend Dennis Conner who gave her a new lease of life through an outstanding restoration. We deal with that elsewhere here, but shouldn't leave California without mentioning that Dennis Conner's link with COTTON BLOSSOM II went back much further than 2003: he was one of the 1965 Lipton Cup-winning crew. COTTON BLOSSOM II's re-christening took place at San Diego YC on 14 October 2004; a remarkable gathering of past owners. 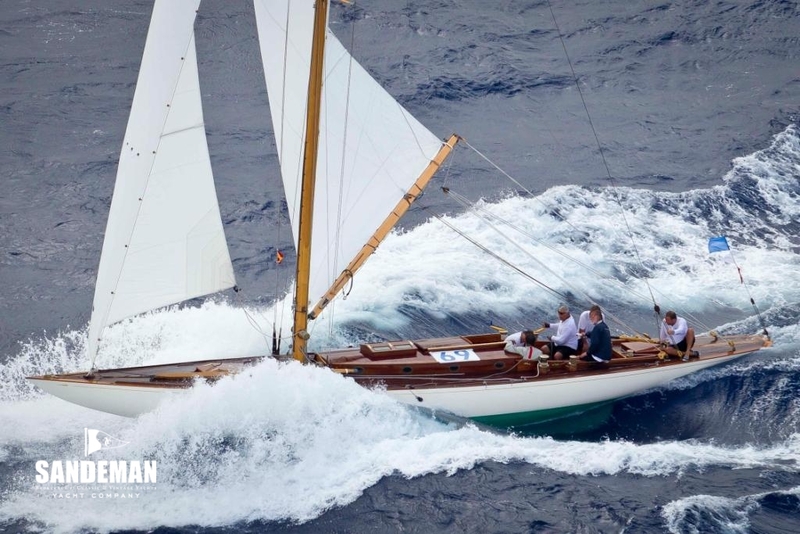 Conner shipped her to the Mediterranean in 2006 to join its thriving circuit of classic regattas, where she has enjoyed outstanding success under his and subsequent ownership, racing among more Universal Rule and other American designs than would be possible in their original home waters. LEONORE has always been a winner! During a 2003-2004 second life restoration at San Diego led by Johnny Smullen, she was stripped of non-original and structurally timed-out elements, leaving a remarkable amount of original structure as a sound base to work back up from, with some of the longitudinal backbone saved and about 80% of the original planks. 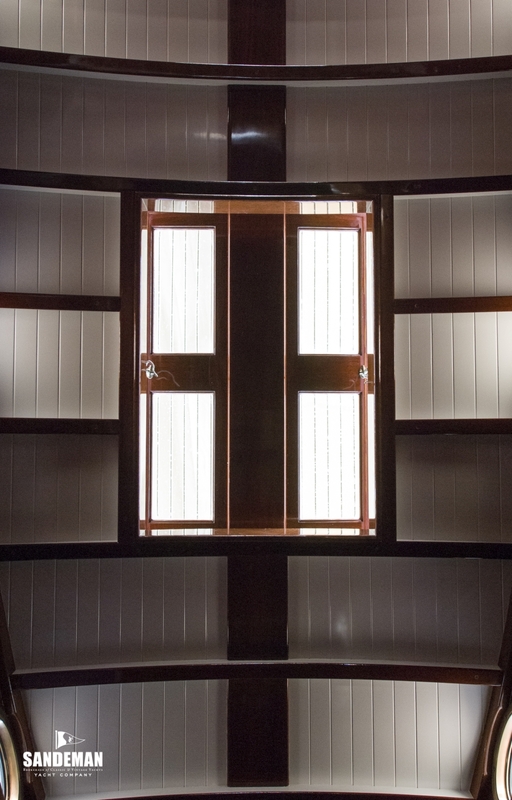 Although she had kept her shape - a huge nod to the quality of the original build in Norway by Anker & Jensen - all her frames required replacing, with laminated oak replacing steamed. Inevitably an 80-year-old boat will need a new deck and probably a new mast, and she got them. Dennis Conner went for a taller rig than class rules on the basis that she'd been a handicap racer most of her life and would continue to be so - and she could stand it. "If they could get her through the doors at Sotheby’s or Christie’s, she’d be right at home among the Hepplewhites and the Chippendales." (WoodenBoat July/August 2005). Subsequently, during a 2007 refit in Tuscany, Italy, at Cantiere Navale dell'Argentario to improve stronger airs performance and to better conform with the CIM rating rule's heavily-weighted authenticity factor, the mast was shortened closer to Q-Class height and a lighter boom fitted. Subsequent race results speak from themselves.